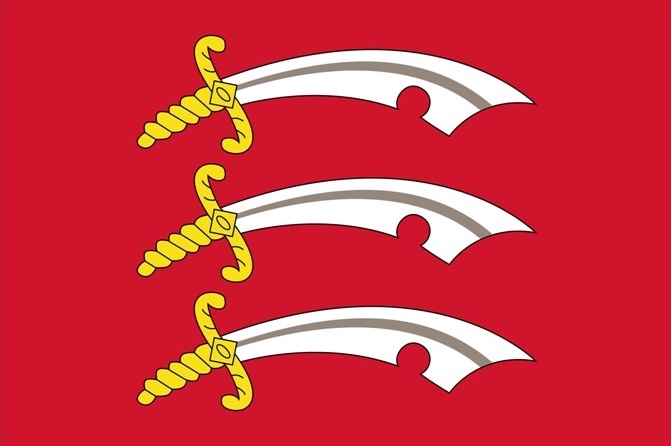 , October 26th , has been acknowledged as the county day of Essex. and Cedd went to the East Saxons partly as an emissary of the Northumbrian monarchy. In recognition of his success, Cedd was appointed bishop of the East Saxons. Cedd then baptised the king’s pagan successor and has come to be highly regarded for his efforts and to all intents and purposes recognised as the county’s patron saint. on October 24th, to coincide with Saint Cedd’s day later in the week. Councillor Smith said the event had been his brainchild. 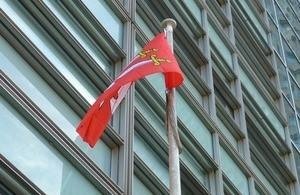 Residents and council workers gathered outside the council’s offices to watch the flag go up. The raising can be viewed here. This entry was posted in Essex. Bookmark the permalink.